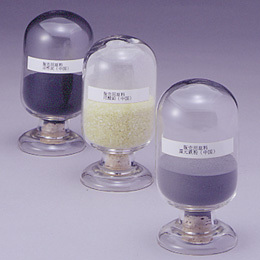 Raw Materials | Products | Tokan Material Technology Co., Ltd.
We offer highly reliable, imported raw materials at low cost. In mineral-resource rich China, all sorts of mineral products and basic chemicals are produced as industrial raw materials. TOMATEC, with more than 40 years of experience in trading and doing transactions with China, can select manufacturers with superior quality and skills from the viewpoint of a material manufacturer and directly import low-cost yet quality raw materials from all over China. We then deliver only those materials that passed our rigorous quality inspection using our high-precision analytical instruments. Our technical assistance on demand, and stable product offering and support organization are services which differentiates us from general import companies, and are appreciated as unique by customers from a variety of fields. * Do not hesitate to contact us should your product of interest not listed above.